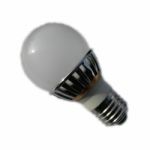 LED bulb with original CREE LED Chip. Highest quality at fair price. 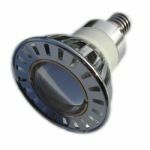 LED bulbs are the economical alternative to common bulbs and energy-saving lamps, as the don't use contaminative quicksilver! Change over to modern LED bulbs and preserve your wallet and the environment. 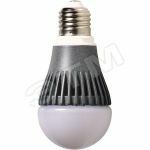 Лампа LED 7,5(40)Вт А60 220в E27 холод.мат. Наименование товара: Лампа LED 7,5(40)Вт А60 220в E27 холод.мат.